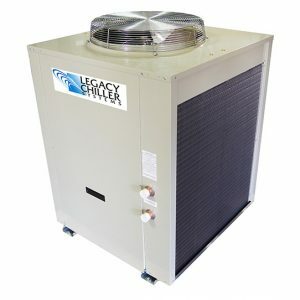 Ten Ton (10 ton) Package Chillers | Legacy Chiller Systems, Inc. This Ten Ton (10 ton) PZAT is on of the flagships of the Legacy Mission Critical Process Chiller Line. The PZAT chiller features a dedicated re-circulation pumping system that helps to maintain VERY stable process fluid temperatures even in a variable load conditions common for MRI, CT’s, LINAC’s and Lasers. To download the PZAT11S data sheet, CLICK the PDF link above. This Ten Ton (10 ton) PZAPT11S is part of our VERY cost effective Portable Process Chiller Line. The PZAPT11S chiller features an internal POLY OPEN vented tank, system pump and factory installed casters. 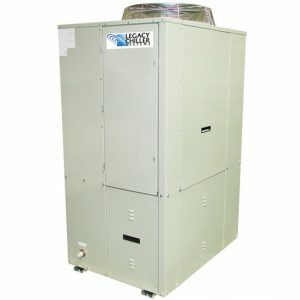 This chiller is out most cost effective process chiller offering the lowest cost per ton for a USA build chiller. To download the PZAPT11S data sheet, CLICK the PDF link above. We have Process Engineers standing my to help. Click the chat link at the bottom right of this page. 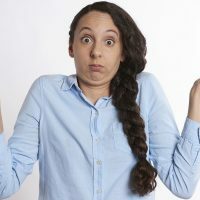 ARE YOU NEW TO LEGACY CHILLERS? Find out why Legacy Chiller is Rated#1 in the Process Chiller Market for over a decade, and counting.